Blue sky, green grass, yellow sun. 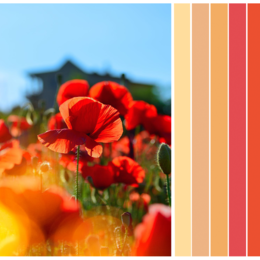 Everything in our world has a color associated with it. 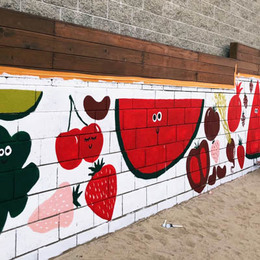 For children in a learning environment, color can have an effect on mood, emotion and productivity, making it an important and much-overlooked consideration in school design. 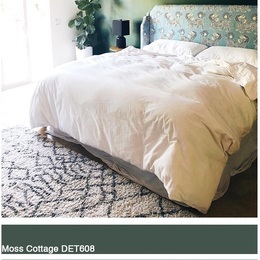 Colored surfaces enliven, enrich, energize and increase student’s brain function, helping eliminate eyestrain, monotony and dullness. Incorporating all the colors of the rainbow in the classroom can make children feel enlivened, attentive and happy to be at school. 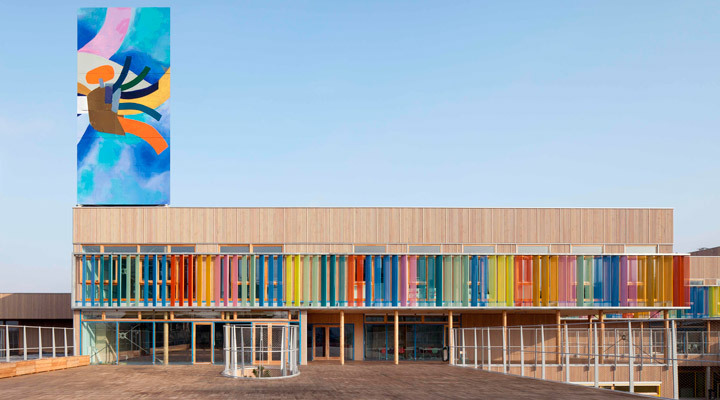 Check out these three colorful schools from around the world! 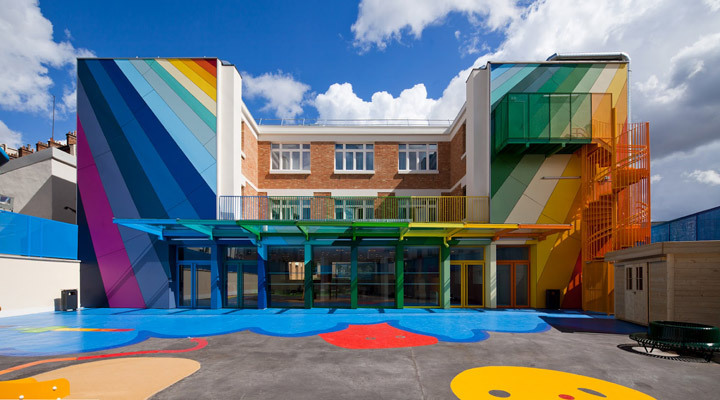 Ecole Maternelle Pajol is a four-classroom kindergarten in Paris’ 18th arrondissement that joyfully showcases how color and education are a true dream team. 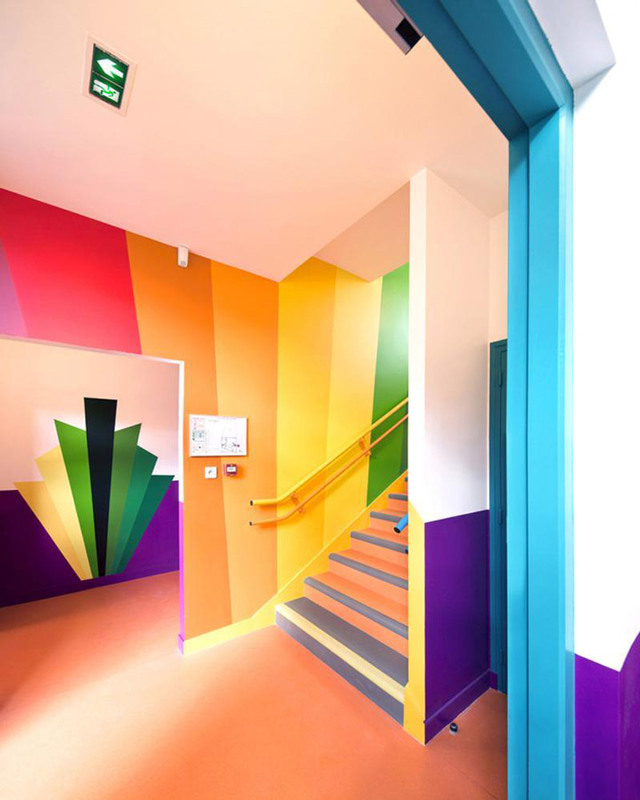 Parisian architects Palatre & Leclère restored the 1940s building, boasting vibrant patterns and colorful activities. 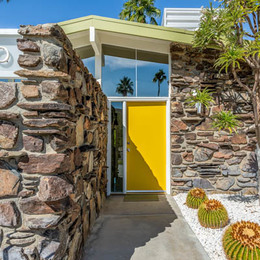 The interiors are equally joyful with bold hallways, bright furniture/building materials and dotted ceilings. Even the washroom features fabulous streamlined color and animal details. 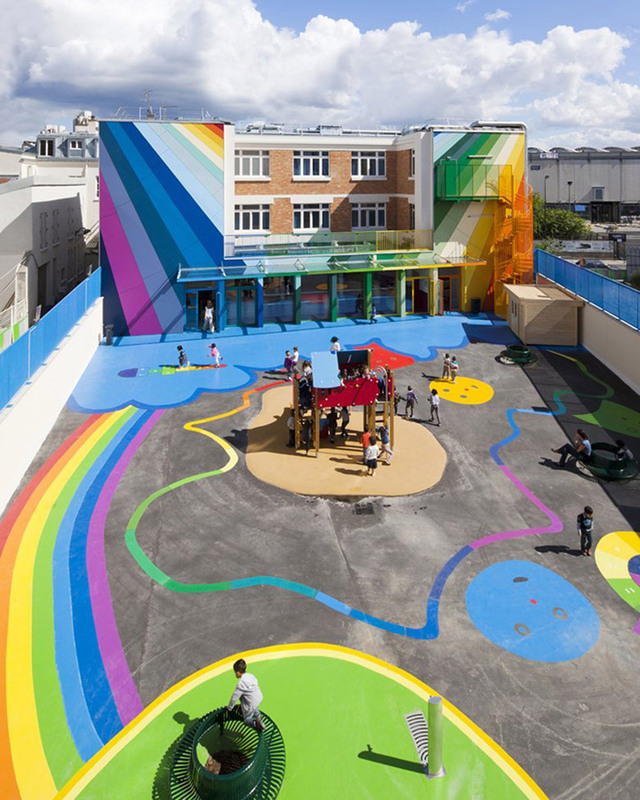 This kindergarten must be one magical place to learn and play. 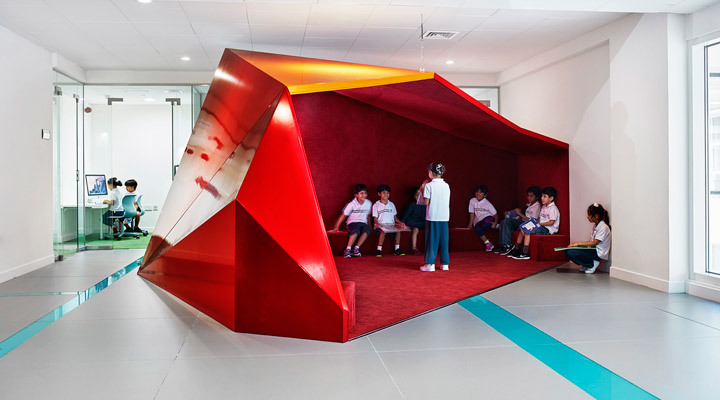 The Sheik Zayed Private Academy is designed to support different learning styles and 21st-century educational skills. 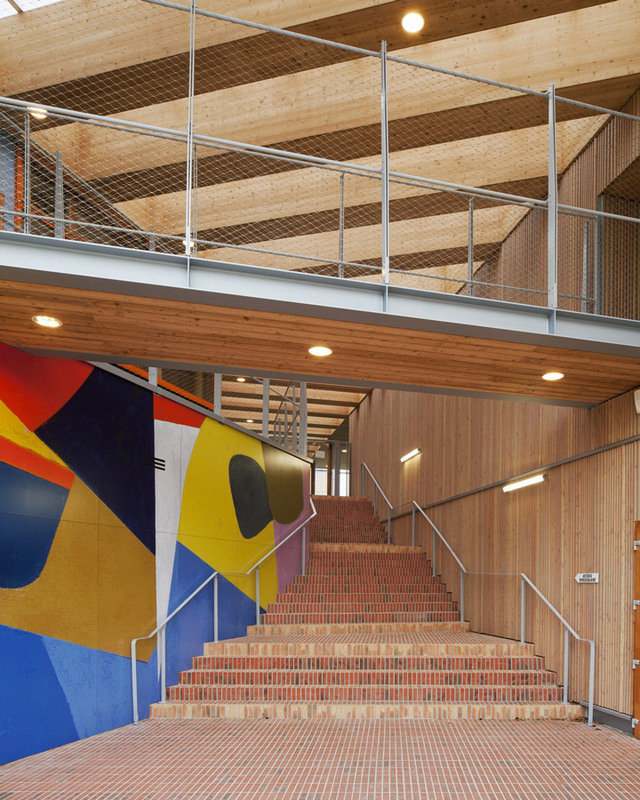 Rosan Bosch Studio has transformed the school into areas for knowledge sharing, inspiration and personal challenge, engaging each student. 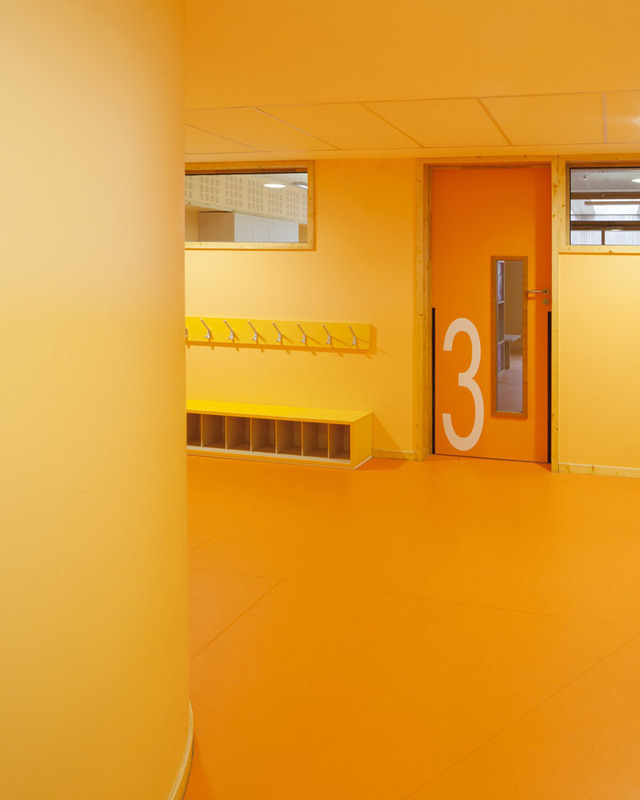 Among the many designed elements is orange, tiered seating that meandering through the space, enabling collaborative learning sessions and social interaction. Colorful window niches support individual contemplation, and the IT learning labs inspire students to acquire new knowledge. 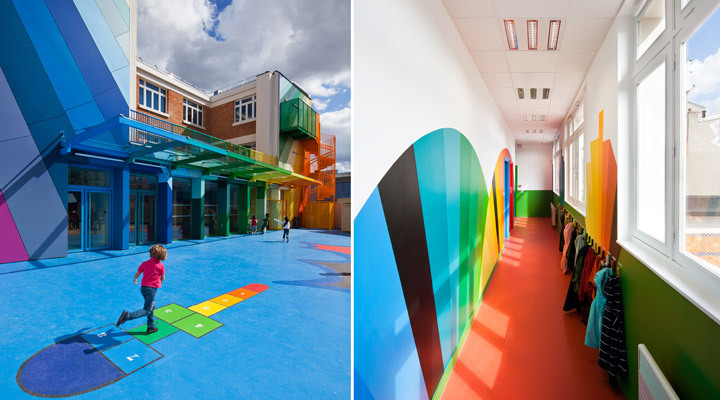 Artistic graphic design and vibrant way-finding make this an extremely interactive and fun learning environment. 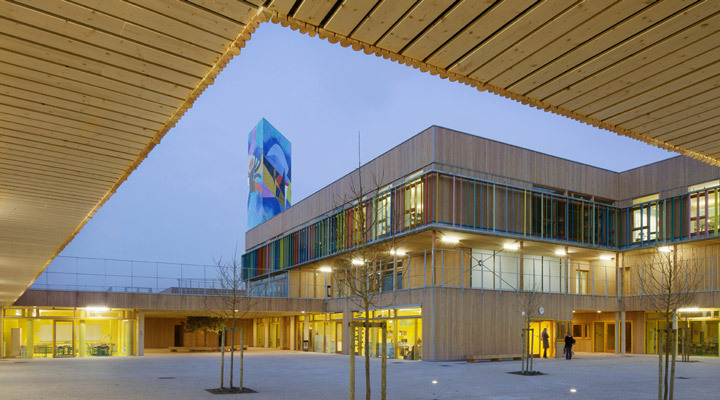 The Groupe Scolaire Pasteur school, designed by Grenoble-based R2k Architectes, is an animated learning complex that playfully composes interior and exterior spaces Each building is organized around its own courtyard and is visually linked by the rich grains of the wood cladding and pockets of color throughout the design. Colorful louvers run along the architectural promenades, protecting the structure from solar heat gain, while Finnish artist Lauri Ahlgren’s vibrant piece "merenneito ja octopus" can be seen throughout the courtyards and stairs.